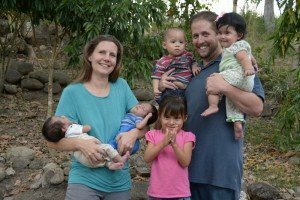 One of our key initiatives is to see Gospel Ranch Honduras grow and thrive. Starting from the grassroots level, they have been creative and innovative to launch and take in 6 children to date. Serving the city of Gracias in the western Honduran mountain area, they are the only orphan home in the entire Lempira district (state) that meets the unique niche of kids that are outside the adoption system but yet have no family able to take them in. My daughter, Karisa, served here in the spring of 2015 for 3 months. As a 15 year old, it was a great experience being in another culture and connecting with the children and work there. In fact, it was out of this mission vision and the desire to do more and to help Gospel Ranch more that iGive Global was then birthed! Karisa is now planning to go back to reconnect with the Goodwin’s and the children of Gospel Ranch in November. Bill & Sharon are also on their second visit as they went with me in April 2015 to visit for a week and found they really connected with the mission and ministry of Gospel Ranch. See the breakdown of the $1200 in funds needed here.